JUST AMAZING! This sweet venezuelian rum is just fantastic. The smooth taste of it is similar to the Diplomatico Reserva Exclusiva. A great rum! Wonderful smooth taste This venezuelian rum is to me, like all the venezuelian rums I tasted until now (Diplomatico or Santa Teresa) a very smooth and sweet rum! Excellent! Smooth one from Panama This one is a very nice and smooth rum from Panama, with some vanilla and spiced notes. Nice one to serve with a cigar to me. Very nice rum This one is really nice and has some orange taste! Is really good on the rocks. Strong stuff from Spain This Dos Maderas rum is a very strong oak tasting rum with strong tobacco notes but also a very sweet side! A wonderful dark rum Ron zacapa Solera 23 is a wonderful and sweet dark rum. It has some nice vanilla flavours as well as caramel. I love it! A very good dark agricole rum! This dark agricole rum is just wonderful and has very complex tastes! I really enjoy it neat. Smooth and spicy Like this one! It's smooth but not as much as the 1919 and has some spicy notes! Sweet and smooth rum the Pampero Anniversario is a good smooth and sweet ron! I personnaly like it and it's leather bag packaging looks very nice also! Very good and sweet Bacardi! The Bacardi Oakheart is a very sweet spiced rum with a strong vanilla taste. Nice one! A very smooth and sweet rum with nice coconut aromas! A very good agricole rum! This 15 years old Barbancourt agricole rum is one of my favourite haitian rums! It's strong but very tasty with a strong spiced and oak taste! Nice cuban rum This one is a nice cuban rum to me. Very smooth with some sweet banana tastes. Like it for a cuban rum. Strong agricole rum from Guadeloupe! This agricole rum from guadeloupe has a very strong and spicy taste. I personally enjoy it neat or on the rocks! A nice rum to make cocktails this white rum is nice to use in cocktails or ti-punch, as well as for flavored rums! It also exists in 2 stronger versions (50° and 55°). Rhum paille This golden agricole rum from HSE is nice for sipping because of its floral notes but you can also enjoy it as ti-punch or in cocktails. Very interesting stuff! This rum smells and tastes awsome, very fruity! Congratulations to the producers of this rum from the Philippines! Number 2! It's my number 2 in agricole white rums. From Martinique, like the NEISSON, it's perfect for Ti-Punch! Good one! The La Mauny VSOP rhum from Martinique is a good complex aged agricole rum. EXCELLENT! This agricole rhum from Martinique is very strong but excellent in its taste! I recommend it! 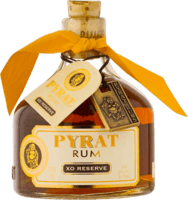 A gold rum like no other... The Angostura 1919 is a very light but tasty gold rum like no other! Near to it's big brother the 1824, it brings out its sweetness and vanilla aroma. Pampero Blanco for your mixers! I really like the Pampero Blanco rum for mixers and cocktails! It's a very good choice because it's not too sweet and keeps its strength in the mouth. Good mixers rum Plantation Barbados 5 is a nice aged rum, good to use for mixers or to drink neat. Sweet and light... A sweet and light venezuelian rum is this diplomatico, but I personnaly prefer it's old sister, the Reserva Exclusiva. But it's still easy to drink. Dark wooden rum! The Ron Barcelo Imperial, is a very dark and woody rum with very strong oak aromas but also coffee, nutmeg and vanilla notes. nice as Ti-Punch This Clément white rum is nice to drink as Ti-Punch or to make some flavoured rum with it like they do in the french antillas. As TI-Punch I tried out this one as Ti-Punch in Martinique and it's really good. Would recommand it for mixers. Very smooth... This cuban rum is very smooth with some spicy notes. Not bad at the end of a dinner. XO VS VSOP If I should select an agricole rhum from the JM collection, this one would stay in my top 3, but the XO tastes better than the VSOP. Not my favorite Plantation Rum! The Guatemala Gran Anéjo rum from Plantation, isn't the best they do in my point of vieuw. Definitely not my taste... This spiced rum isn't my thing! Maybe as a mixer...? Not my taste! Even if they have Iglesias as ambassador, I don't really like this one. Not sweet enough! The Sailor Jerry spiced rum is really spiced with strong vanilla and cinnamon (as well as nutmeg) notes but it's not sweet enough into my sense. Don't like it! I personnaly don't like this one because the tobacco aroma is to strong for me. I wouldn't recommand it! Nothing under 15 Unfortunately, the Barbancourt rums aged less then 15 years are not that good! Maybe as mixers. Strong coffee and herbal flavour This old monk indian rum has a strong coffee and herbal taste. I don't like it but fans of british rums will probably like this one more than me. Has a typical jamaican glue taste... Unfortunately, this one, like a lot jamaican rums, to me, also has this typical glue taste I don't like. Only good to cook with... This rum isn't rum to me. I only would use it to make some cakes with it! This isn't rum! This isn't rum!